WELCOME TO THE UNIVERSITY OF NOTTINGHAM FENCING CLUB! 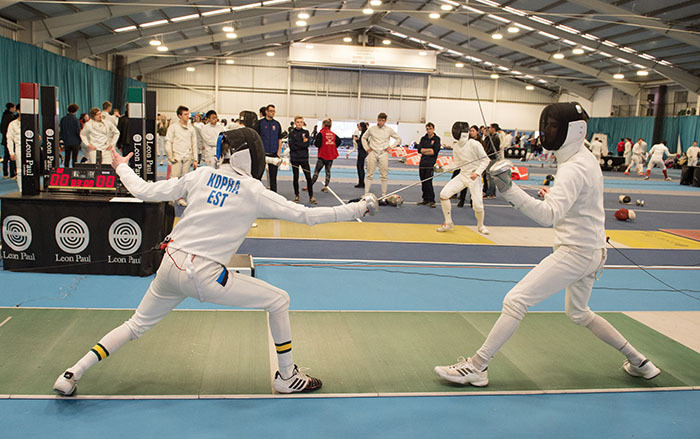 We are a friendly, fun and hardworking club, who welcome fencers of any ability- whether you are a complete beginner, an advanced fencer or someone who has a foil rusting in the back of their cupboard and fancies giving it another go! For beginners, we offer comprehensive training that will introduce you to the world of fencing, without throwing you into the deep end straight away. For the more advanced and BUCS teams, we have excellent training as well as strength and conditioning sessions to keep you in tip top shape. We have three men’s and two women’s BUCS teams and cater for all three weapons (foil, epee and sabre). 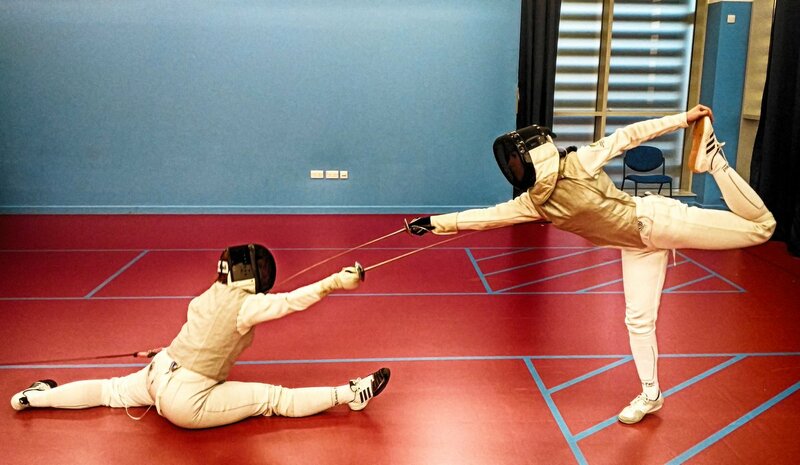 Monday, 8pm-10:30pm - intermediate/advanced fencers. Tuesday, 8pm-10pm - SB fencing session. Thursday, 8pm to 10:30pm - beginners session alongside intermediate/advanced fencers. Friday, 5pm to 8pm - intermediate/advanced fencers. We have a tiered membership system. Bronze (£40) is for Sutton Bonnington Campus members and students with their own kit that may come and fence once a week. Silver (£50) is for students partaking in the beginners course or regular member who have the occassional lesson. Gold (£60) is for all team members and any members who have regular one to one lessons and/ or borrow club kit. If you are a beginner and you love fencing and want to join a team, do not fret, there is an add-on membership fee (£10) so you get get stuck into BUCs sword wielding! These cover coaching, equipment hire and insurance. As well as this you need a UoN Sports Membership (annual early bird is £209 - this will be £219 after the 5th October). We have regular socials, with both alcoholic and non-alcoholic events, which are always memorable in one way or another! As well as this, we have end of term formals which is our opportunity to dress up in non-fencing attire! After training on Fridays, it is traditional to have a drink or three at the Rose and Crown pub or mooch. If you have any more enquires, don’t hesitate to contact us!